In a shock move, FujiFilm has announced price rises for all of its film, again. And when I say shock move, my tongue is most firmly jammed into my cheek. Yes, FujiFilm has done it again. But why? Imagine my surprise when I was reading PhotoRumors today and saw the news that FujiFilm is going to ‘substantially’ raise the prices of film worldwide from this month. My surprise mainly springs from the fact that it was announced on the global site first, as they usually tuck this sort of unsavoury information deep in the bowels of their Japanese site. It seems like only a few months ago that the prices were raised….Oh wait a minute, it was only a few months ago! So why another one? Well, simple economics really. FujiFilm isn’t even bothering to pretend anymore. They want out of the film game and they have made that pretty obvious. Chieki is hugely popular for them, so that will stay. But the rest of the film production is losing money. Heavily. And with good reason, because FujiFilm wants it to. You have to sell a whole lot more film that you do sensors to make a profit. And you can get people to upgrade those sensors every couple of years for and even bigger profit. The demand for film products is continuously decreasing and the cost of production, such as raw materials stays at a high level and cost increase associated with lower volumes becomes much serious. Under such circumstances, despite our effort to maintain the production cost, Fujifilm is unable to absorb these costs during the production process and is forced to pass on price increases. In this statement you can clearly see the business model that has been chosen for the future of film within FujiFilm. 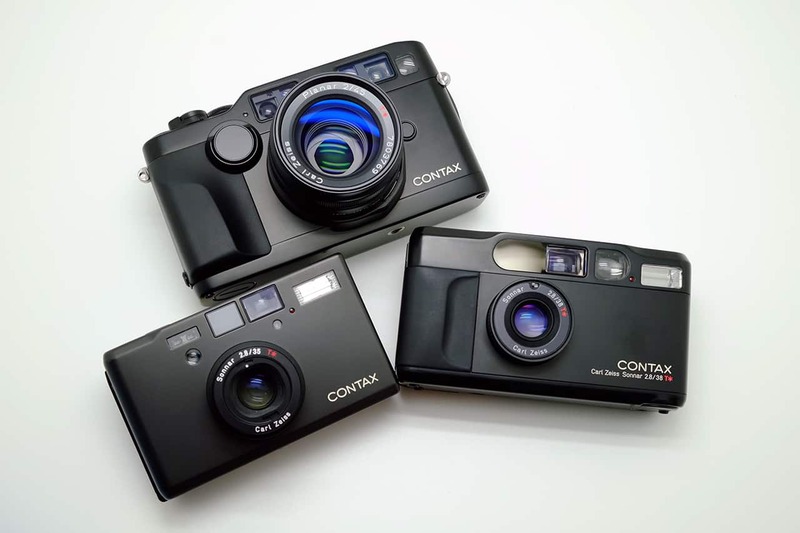 There are a few very good reasons why demand for FujiFilm products are decreasing. 1. The prices are becoming unrealistic. As they rise, demand will continually fall. 2. Absolutely zero advertising/promotion. Fuji no longer promotes film products at all (aside from Chieki, which is very heavily promoted), as far as I am aware. So people are either unaware FujiFilm is still making film or are unaware of what is available. 3. Restrictive (and absurd) wholesale pricing for merchants. FujiFilm expect higher and higher minimum order quantities for small buyers. Making it impossible for them to actually stock the films without spending huge sums of money. Insider whispers from Fuji in Japan have told me that the film department has been slashed and had advertising funding cut to zero. Apparently there are only 2 staff members in the department for the whole of Japan now, and they have no power within the company at all. Call me a cynic, but if you think this is due to the ‘market pressures’ then you have been drinking their X-Sensor flavoured Kool-Aid. This is a carefully planned strategic exit from the market. So, Fuji, let’s get it over with. I say Fuji, as you might as well drop Film from your name, as it is no longer part of your business. Jog on Fuji, there are plenty of other Film manufacturers who are doing a much better job than you of promoting film photography. Oh, and just so everyone knows. Fujifilm sells ‘slimming products’ on the TV in Japan, which is basically snake-oil. I have little respect for companies that prey on the insecure. Companies like Berrger, Ilford, Rollei, Adox, Ferrania and others too are still making film and have new ideas coming. 2016 is going to be a great year for film. Even Kodak had enough confidence in the market to make their new Super8 camera, with developing chucked in! Sorry you will miss the party, Fuji. It’s a shame. 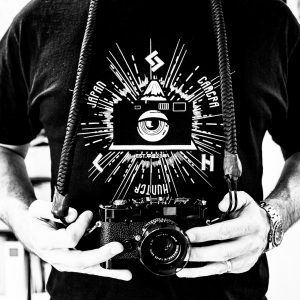 What young photographers wanting to explore the analogue world needs now, is choices. To see for themselves how film choice impacts the image, finding their favourite look. Sure, there are still films out there even if Fujifilm goes away, but Fuji does have some really great products in their lineup. Well said that man. They seem to be happy to see their reputation decline, I’m sure betting that the film users are a small enough group to not care about. Are they forgetting that film users are also digital users too? Oh well, time to buy some more Ilford, I suppose! Soon we’ll only have Portra and Tri-x left. Even if Fuji are handling their apparent strategic exit from film poorly, we should still be thankful they make it. Afterall, only Fuji and Kodak make high quality colour films (Portra, NPS, 400H). The colours and rendering of these small handful of films are responsible for many many ex-digital people (like me) returning to film. If you look at pro users shooting film for weddings etc, they universally all shoot Portra or 400H. There are plenty of good alternatives (esp. Ilford) for B&W, but colour is different, and it will be much much more difficult for indie/small companies to deploy the sorts of technologies embodied in pro colour film. If Fuji and Kodak stop doing these films, colour film will basically be dead for ever. “Do you think film in general will have a resurgence? You mentioned in your presentation that demand for film peaked in 2000. Can you give me a current idea of how that compares to demand today? 1% of what it was 15 years ago… they can’t maintain it very long…. I personally don’t shoot with non-instant Fuji film, but news like this makes me sad regardless, and a little afraid as well. 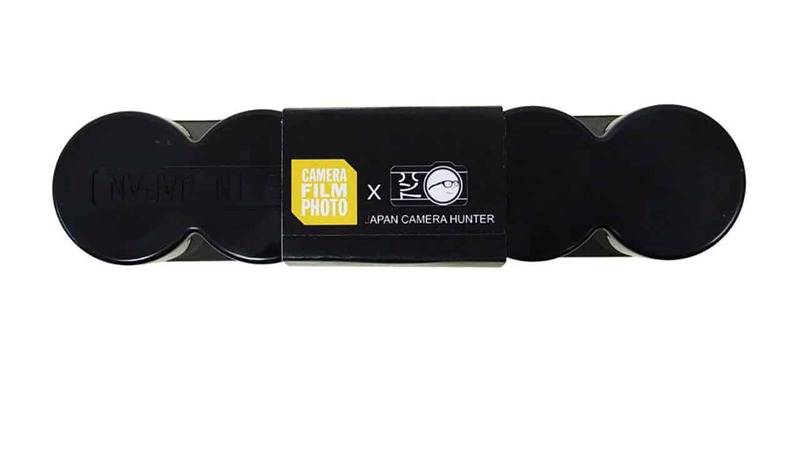 Because this is a company I don’t buy from (aside from cheki/instax mini film) because it makes me afraid for the future of film. Thankfully, as you have pointed out, other companies are doing far better. 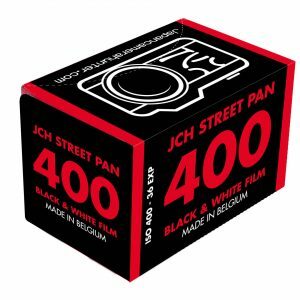 I can’t speak for film in other countries, but over here in Belgium shooting film is a very affordable hobby, and you can get it as easy as at your local chains like HEMA (if you don’t mind the house brand, which I don’t), or Kruidvat (Agfa). Heck, I can buy Lomography film at a small chain of Bubble Tea bars (true story). Sure, it’s all stuff like that and then Fuji, Ilford and Kodak at speciality (photography) stores, but analog is still very much alive here (I live in a small town and there’s over 10 people bringing film regularly to our local HEMA to get photos and/or negatives sorted out, considering how small this town is, that’s quite the number of analog photographers), so this kind of news is really mind boggling to me. I’m just glad that Kodak has a much bigger belief in film, because that’s the brand I prefer shooting with. This is sad news. If Fujifilm doesn’t want to make film, then please make information about the manufacturing process publicly available (chemicals, coating procedure etc.) so that another company might be able to keep it going. Or see if another film manufacturer like Kodak or Ilford would consider taking it over. Film is part of an important art form, and film photographers are dependent on film manufacturers for their art and work. The other is that Fujifilm holdings made $630 M in profits for a 6-month period last year (http://asia.nikkei.com/Markets/Tokyo-Market/Fujifilm-profit-seen-6-brighter-on-instant-camera-sales), much of it from film. If the overall company is so profitable, it should be possible to carry a line that doesn’t by itself make money. Too bad I don’t know of any real alternatives for slide film. I’ve been working for an asian company for two years, and more often than not I’ve seen management folks unwilling to reverse their (wrong) decisions, because admitting an error just wasn’t an option due to their culture (talking about them “losing their face”). Maybe it’s a culture thing? I.e. some high Fuji manager decided to drop out of the the film business before the market resurged and now they simply can’t/won’t go back? Interesting they say their film sales have declined, yet all of 2015 most of their film stocks where back ordered from almost all dealers. I wish they’d sell their color film division to Ilford. Well said Bellamy. Fujifilm has lost its touch. I only bought it at Walmart because it was the cheapest film and only film available. I only used their film for test shots when I buy new a camera or just want to use it because my other film would be better else where when I travel. Like you said it is all about economics and the x series juice they have been drinking. They need to cut film from their name. They should be called Fujidigital. Spot on! Intentionally pricing themselves out of the market share seems far more cumbersome than sampling stopping production. Big cheers for the companies that are staying in the game, as there will always be demand for film, regardless of how the big boys see it. Thats very true! I am 17 and I have been shooting film for about 1.5 years now and i found a website here in Ireland where i could buy all kinds of film quite cheap, so while still shooting film I was able to save up and buy my Leica m2 but now just when i got this amazing camera the website closed down! now I am forced to shoot only fomapan or super cheap agfa vista film! It’ll be a tragic day when the film division shuts its doors – Fujifilm is excellent stuff. Nothing beats 400h in 120 overexposed a stop or two, and they’re the only people still doing a 1600 colour film. Even their cheaper everyday films are amazing. And they make the film for Agfa and a bunch of other rebranders, so if Fuji goes, everyone else becomes Kodak. Really makes me very sad. For me they’ve always embodied that famed Japanese precision – a tiny bit cold and clinical, but untouchable in technology and quality. Maybe a miracle happens and they get a new CEO who’s a total film head. 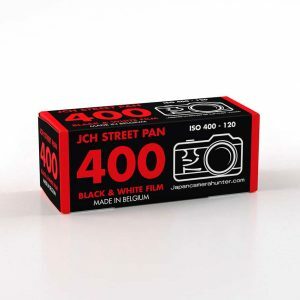 When they killed neopan 400 I was really depressed. Acros is getting more and more expensive these days… the latest batch I found is good until 02/2017. I’m curious if Fuji will make another run. I hope they’ll keep making it for a few years but… I don’t have high hopes for that. Economically, shooting Fuji film just doesn’t make any sense anymore, when you can buy Kodak or Ilford for half the price. Where I live a roll of Tri-X is 5 EUR opposed to a roll of Acros, which is 8 EUR. Just a year ago the price of Acros was way lower. T-max 100, Delta 100 or any other 100 ASA film is more affordable. Slide film is a different market though. I understand slide film is more expensive to make, even processing slide film is really pricey. That’s the main reason I stopped shooting slide film. It’s sad news but we have to face reality. Shoot Kodak, Ilford, Foma, etc. Seems like a shame. I have recently got back into fim photography and was hoping to be able to use Velvia which is already expensive now. I love black and white though and am having fun with Ilford films and Kodak Tri X. This is disturbing. Losing film from Fuji will be bad enough, but what will happen to film and darkroom sections (what remains of them anyway) in camera stores here in Japan? What about lab processing for film? Of course, other brands are available here but in my experience at least 50% of all products are Fujifilm, and if they go, will there be any incentive to keep other brands on the shelf? Luckily I am not brand dependent – I shoot various brands of film, and use chemicals and paper from different companies too – but this is not something I want to hear at all. Thanks for News. FujiFilm is looking for image, according to their last marketing/communication show to introduce the new cameras. They try to play the Pro/expert/photography aficionados targets. What is right. Cameras are good, lenses impressive. But, they will have more clients if : 1) propose a FX camera with X pro or XE 1, because we wait, we wait, we wait, … Until we move … 2) create a Fuji photo foundation to promote history of photography, classics studies of photography, and 2 annual distinctions, one for digital, one for film pictures. Under this Fuji Fondation they will have the charge to maintain a reasonable production of all Fuji Films sold at Nice Prices, and find some special foundings, investors to support. If we are able to sign a petition on this way and send to Fuji Ceo and Board we will maybe have chances. Marketing is too busy, has too much financial pressures to invest there. But, this is the risk. A lot of will stop follow the move, like the fancy American computer brand which some starts to go see other brands, because when clients considerations are not in the basket, … Clients move. I m thinking to a new system after a lot of investments on Fuji last system ….. And I m not alone !!! I will be Fuji I will think at this kind of surprise, they will get more client. By the way I m ready to help JCH to develop a positive petition to help Fuji. This is an historical brand !!! We cannot forget history like that, it s like destroy historical Japan spots !!! Fuji films are a part of Japan history, Japanese industrial, arts, technology history !!! I share all of your same sentiments.. its so sad that Fuji arent just honest about their lack of desire to stay in the film game. I guess only time will tell, ill have to make the most of my Fuji Frontier before I cant get any support anymore (I get barely any as it is). HI Bellamy! by “Chieki”, are you referring to the Instax mini and wide instant films? I’m a bit confused since the announcement does not make any mention of them. Ah, and we all saw how well that worked out for the Kodak, didn’t we? 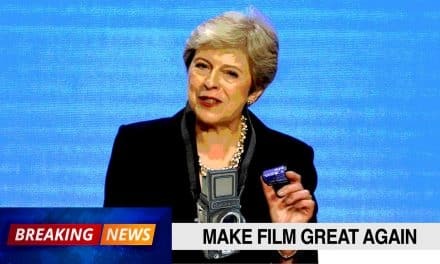 Ah well, hopefully it might open up a nice little window in the market for some of the boutique film producers to fill…maybe instead of all running to kodak we should look to some of the small guys and help them grow. I propose to create a world petition. I be created a model. Who want to help me to correct the text about everything’s. When it will ok, maybe we can find some ways to promote it on the web and we will have enough returns, we can informs most important photography web sites, magazines, and a last FUJIFILM. No action, no try, no gain !!! We are photographers ! FUJIFILM is a noble Japanese Company which has written a high part of World and Japanese Industry, Technology, Photography, Movies, Creativity, Arts, Cameras, … One famous part is FUJIFILM Movies films and Photography FILMS as NEOPAN, ACROS, VELVIA, ASTIA, PROVIA, professional photographers Negative color films. Famous Photography Academy, Schools, Arts Gallery, Photographers, are continuing to use FUJIFILMS FILMS, all format. Because they are great. But, there is less and less, and they are more and more costly !!! Please, why you don’t create a FUJIFILM FILMS PHOTOGRAPHY FONDATION which will have to find some investors (donations, ministries of arts and culture, private company, …) with a two goals. One will be to give a distinction every year to one digital photographer and a film photographer for their works, and one to find ways, solutions, to promote films, continue to produce them at a good price. Because Films are a part of modern arts history and a great part of your company !!! I hope that I can still aford Fuji slide film after they have raised their prices, because slide film is so much better than color negative film. Besides being able to project large images in superior and more natural colors than digital files, their scanned images are also better than colored negatives! I will be really mad if Fuji goes on like this and if I will ever purchase a reasonable digital camera it will not be a Fuji for sure. 2 roll Velvia cost is around 1 day full salary. Fujifilm lost a client with me with all its products whether be it digital or film. The main reason that I was considering buying a X-Pro 2 is its film emulations, Velvia, Acros, Provia. An expansion on their film business would create more options in their digital film emulations besides creating a great deal of goodwill. It would have increase both their film and digital divisions. Now, they will soon have a “film emulation” that their users will soon stop understanding why its called Velvia and its history and the ability to go and match that with a film camera. It is delusional of Fujifilm if they believe that if they stops making film or make it harder to acquire film, all its customers will go into digital. 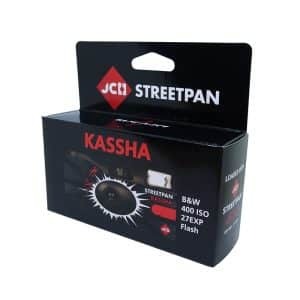 There are other digital cameras out there and fortunately, there are other film manufacturers out there. I personally will start going with the German company, Maco, and their range of Rollei films. Kodak is still producing Tri-X and Ilford is still going strong. Fomapan is cheap as chips and there are many others out there. So if Fujifilm believes that if they stop making films, that we are all going to start buying their digital cameras, they are sorely mistaken. I, for one, have never stopped taking photos with film in this digital age. Mainly in B&W or slide film as it offers photography processes completely different from digital. And from that point of view, digital can’t replace film. In a similar way, CD and Spotify can’t replace vinyl. I believe you are right, Bellamy, Fujifilm is deliberately pricing themselves out of the market. They obviously want it to end. No marketing and no efforts to revive the film business. Acros and Provia are more about film simulations than the real thing. 1. Fujifilm manager Toru Takahash is in fact onto something when he points out that “the infrastructure [is no longer in place]”. It’s harder and harder to find a dealer who offers a decent selection of fresh film and chemicals, and the labs are getting fewer. Most labs/stores now demands that you order prints with C-41 and E-6 processing, multiplying the price, obviously in an effort to outweigh decreasing volumes (and/or possibly increasing demand for film processing only). Hopefully there may be other ways of organizing things, like Ferrania say they will, but that remains to see. 2. 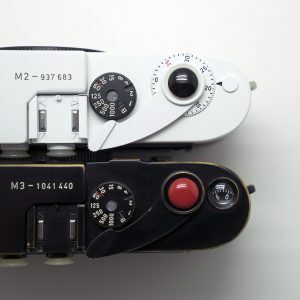 There’s hardly any manufacturing or developement of new 135 and 120 film cameras, and apart for the Lomo type cameras the demand for new equipment is apparently nonexistent. It was a bad omen, I think, when Cosina/Voigtländer recently pulled the plug. Film cannot survive on toy cameras and decades old equipment forever. 3. 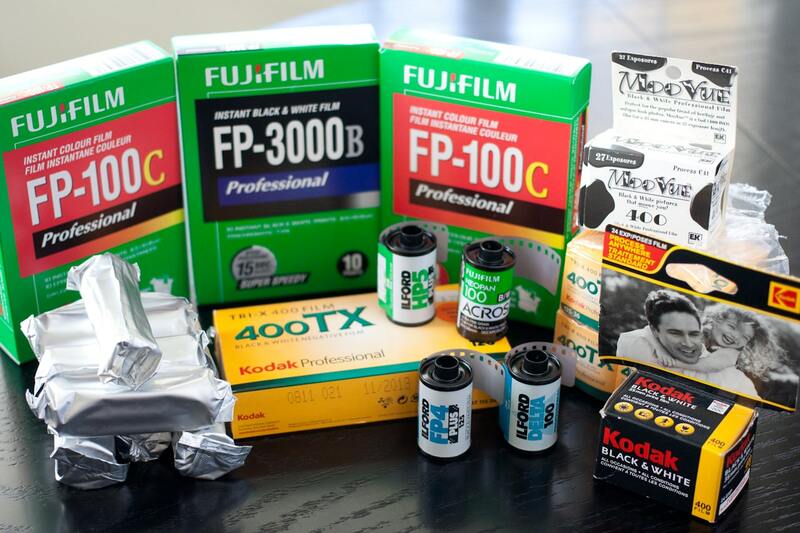 Film, chemicals and processing is starting to get painfully expensive, not only the Fujifilm brand. B/w chemicals are still quite inexpensive, but in Norway Kodak recently tripled the price on their HC-110 deverloper (65 euro/l). This is terrible news. I have just found my image style in Velvia 50. I bought packs of Velvia 50 just a month ago. I can not believe they want to go this way. Where can I turn if there is no more Velvia? There is nothing like Slide film for red tones. They have lost me as a steady customer with the whole NP400 on and off (and the pricing for the new batches). I agree they should just drop “film” from their name. Why don’t they spin out that business into a separate company that can battle for survival on it’s own. Letting it die is just coldhearted. Thanks for the great article. Maybe by the time 400H is dead, digital will be at the amazing colours level. That would be nice. The article & comments seems on point – Fuji only seems to care about instant film! I don’t buy very many non-instant films from Fuji, so personally it’s no great loss for me. I also think that they will eventually drop some more of their film products. However, i have the feeling that they will keep at least one or two slide films alive, since for all practical matters this is a market they have exclusive to themselves now. 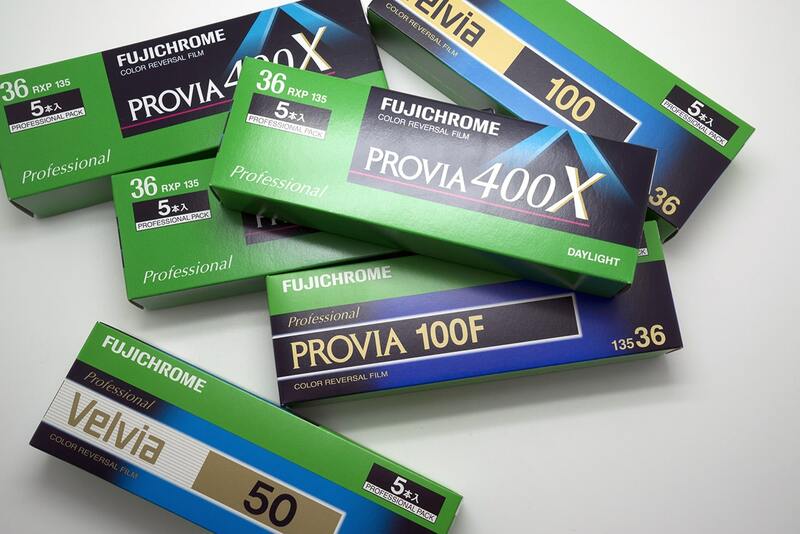 Velvia/Provia are also very respected brand names. I think it would be very foolish to abandon such assets and the exclusivity that they currently have. But the real problem remains…Fuji is now the only slide film manufacturer…Ferrania is trying and i sincerely hope the best for them, but they have many difficulties and the project is progressing really slowly. Who knows, maybe Kodak suddenly decides to bring a new slide film back, just as they surprised everyone with their new Super8 project. Anyone else think it would be possible to setup kickstarter initiatives and gather funds for limited production runs of discontinued slide film like Sensia/Astia/Provia 400X??? The two major drugstore franchises (DM and Rossman) have an aggregate of more than 3000 stores spread all over the country. Each of them has a section selling mostly Agfa Vista (negative) and Precisa (slide) film (5 ~ 7 euros per roll), both rebranded fuji material. They also offer pretty cheap, outsourced development services (1.95 euros per slide film), so the general infrastructure is still very good here. The slide part used to be kodak when they were still in the game, then they changed to sensia and lately they seem to be using a version of provia. Out of interest, i check regularly and the expiration date is always at least one year ahead. The quality of the Precisa slide film is always excellent. The number of stores selling the rebranded agfa stuff is quite large. Of course the market is not what it used to be, but even with very conservative estimations, i think it is still strong here. This is without counting all the extra, photography dedicated stores (physical and online), many of which offer similarly affordable and excellent services. I really do not think that Fuji will eliminate completely their e6 output, but maybe they will drastically reduce it. So i really hope, that all is good for now. James, you should guy BULK-film and a bulk-loader. This will keep the price down to around €1 a roll. The solution for Fuji, if they are interested in producing film at all, is to scale back their operations and factories. That in itself will cost money. But if they don’t, the income from film hardly even covers the electrical-bill to the factories. I stocked up on Acros and NP400 3-4 years ago, so I am covered for a pretty long time, after seeing the horrible way NP400 finally died, I decided that having a buffer was the only way to relate to Fuji.